Last month, Oculus VR has announced their device, Rift that can already be ordered pre-order on the site Oculus. By fixing the price of 599 USD, Rift VR device requires computer specifications are not uncommon. Because shortly after its launch, announced that the Oculus Rift need at least a computer with a processor from the Intel Core i5 4590, VGA card from Nvidia GeForce GTX 970 or AMD Radeon 290, 8GB RAM, and 3 USB 3.0 ports and a USB 2.0 port. Line of computers that have been given the title "Oculus Ready PC"
In this regard, there are several vendors who released their gaming computers with frills ready to run virtual reality using the Oculus Rift VR. Call it the release of Dell Alienware X51 gaming computer R3 her some time ago. Well now, quoted WCCFtech, Wednesday (02/10/2016), officially announced Oculus computers are ready to use the device Rift as the "Oculus Ready PC"
Among them is Asus and Dell introduced by Oculus and get the label "Oculus Ready PC". For the series itself, Asus introduced G11CD and ROG G20CB, both of which have been using the computer gaming Intel Core i5 6400 processor, as well as VGA card from Nvidia GeForce GTX 970. What made the difference is, for Asus G11CD still using 8GB of RAM and hard disk conventional-sized 1TB. While Asus ROG G20CB is equipped with 16GB of RAM and 512GB SSD size. The price itself for Asus G11CD priced at around 1049 USD, and ROG G20CB pegged to the price of 1449 USD. While Dell, there XPS 8900 SE, Alienware X51 R3 and the Alienware Area 51. Talk specifications, as discussed earlier, Dell XPS and Alienware X51 8900 SE R3 uses the same processor with Asus, Intel Core i5 6400 with VGA cards Nvidia GeForce GTX 970 as well. RAM both equally great, is 8GB. The highest variant of the Dell Alienware Area 51 carries specification that is more frightening, because this gaming computer using extreme class processor from Intel, the Core i7 5820K. RAM is used also larger 16GB, and equipped with hard disk 2TB + 128GB SSD. 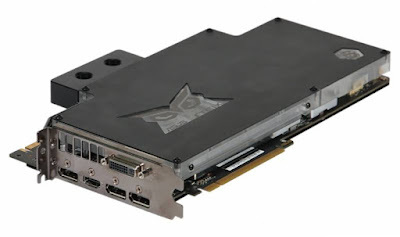 VGA cards are also more frightening stretcher, using the Nvidia GeForce GTX 980. On price, the Dell XPS and Alienware X51 8900 SE R3 has the same price, 1199 USD, while Alienware Area 51 is priced at 2549 USD.. Although rumors of the presence of the latest graphics processors from Nvidia with architecture named Pascal continued to appear in the virtual world, not dampen the desire of the vendor to release a graphics card with Maxwell architecture that is already more than a year since its release. As one of them is Asus who recently released GeForce GTX 900 series lineup. 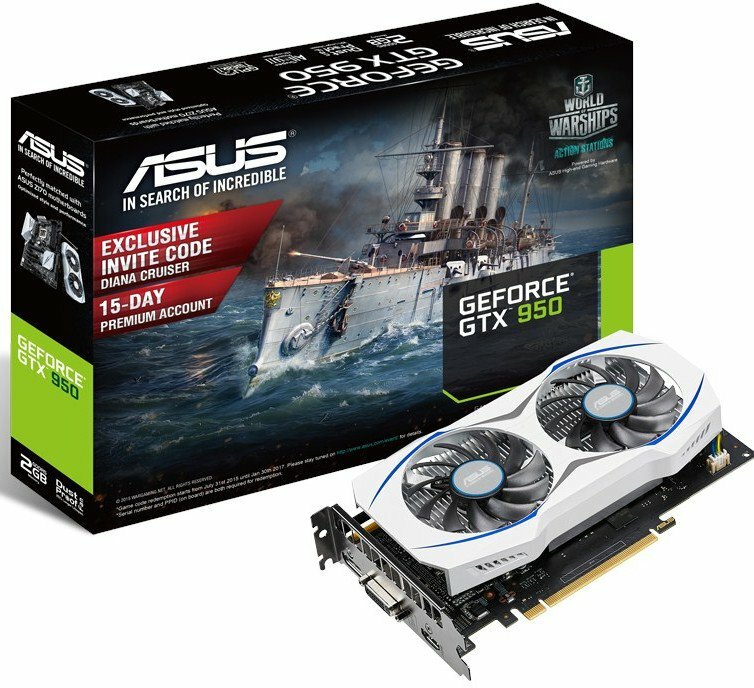 After some time ago released the Asus GeForce GTX 950 variant that does not use additional power, this time turn the Asus released a line of high-end graphics card from Nvidia, the GeForce GTX 980 Ti Strix Gaming Ice. Reporting from WCCFtech, Friday (03/11/2016), VGA card that is specialized for gamers and overclockers. Said that because the Asus GeForce GTX 980 Ti Strix Gaming Ice does not use cooling fans, but using a water cooler. Asus cooperate with specialists Bitspower as water cooling devices for computer, which Bitspower blanketed the front of the VGA card with a full water block covering nearly the entire board. Do not miss the distinctive logo of Asus Strix is ​​the eye of the owl. 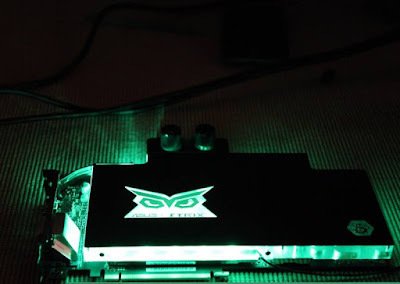 Interestingly, water block is also equipped with LED colors that can be changed in accordance with the wishes of users, from red, blue, green, Tosca, and many more. Even the size of the Asus GeForce GTX 980 Ti Strix ICE Gaming is said to be smaller than the GeForce GTX 980 Ti in general. Armed with 14 Phase PWM and high-quality components, Asus sure this VGA card can be lauched faster than the default profile overclock mode. Moreover, with the use of cooling water used to squeeze the temperature of the heat generated, certainly Asus GeForce GTX 980 Ti is capable of Strix Gaming Ice firmer. 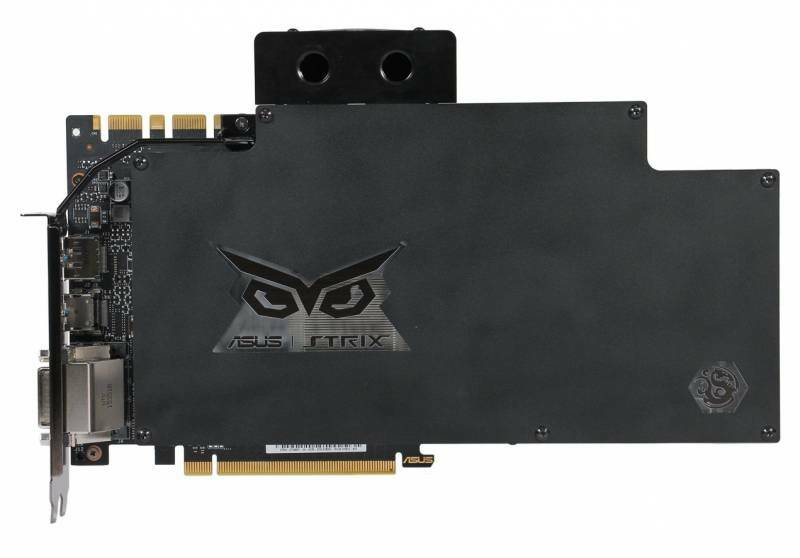 Reportedly own Asus GeForce GTX 980 Ti Strix's Gaming Ice will be released in the near future. For the price range, many predicted that this graphics card will be priced at 899 USD for the US market..
Graphics card or commonly known by the gamer by the name of VGA card, are very helpful in generating graphics quality while gaming. Especially now have available a variety of brand graphics cards that deliver performance and features vary. As one of them is Asus, which, as the old players they do not want to lose with the new brands are popping up today. Quoted from VR-Zone, on Tuesday (03/08/2016), mentioned that Asus has just introduced the latest variant of one VGA card from Nvidia GeForce GTX 950. We know that the GeForce GTX 950 has not long been present in the market, the position could be is said to replace its predecessor, the GTX 750Ti. But the interesting part of the VGA card's premises GTX950-2G code there is no power pin, in contrast with most graphics cards GeForce GTX 950 from various brands that have the power pin. So to say that the latest Asus GTX 950 does not require additional power, even mentioned that the current state of full load, this graphics card power required no more than 75 Watt. For its GeForce GTX 950 is going to be equipped with two fans, especially with technology Auto Extreme and Super Alloy Power II that claimed to make the durability of the VGA card is more durable. In addition, the design of the VGA card is also designed to be matched with an Intel motherboard with a chipset Z170. The specifications can be said to be not far from the default Nvidia GeForce GTX 950, only the latest Asus GTX 950 has a base clock and a boost clock is higher, at 1.051MHz and 1.228MHz. Not forgetting there is 2GB of GDDR5 VRAM and a memory clock of 6.610MHz. VGA card is also equipped with a complete connector, such as an HDMI port, a DVI port, and a DisplayPort. Speaking of smartphones, surely the first thing to consider is the performance of the smartphone. Increasingly strong performance and is equipped with various features will make the smartphone has the highest caste. To test the overall performance of a smartphone is usually the penggunaa smartphone using applications such as AnTuTu benchmarking and Geekbench. And some time ago, and AnTuTu GeekBench has announced the list of smartphones with the best performance in 2015 ago. Interestingly, the list of 10 smartphone announced by AnTuTu includes cross-platform Android and iOS. By doing so, the iPhone 6s Plus that rely A9 chip to achieve the highest score with a score of 132 620 for the performance of single-core and overall. Followed by Huawei Mate 8 representing the Android platform in the second position with a score of 92749. Huawei Mate 8 rely Kirin 950 chip which is of their own making. 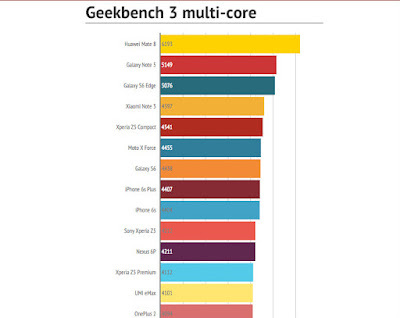 Besides AnTuTu, GeekBench also released a list of smartphones with multi-core test. If the single-core test iPhone 6s Plus occupies the highest position, the testing of these multi-core smartphone should recognize the reliability of Huawei Mate 8 Kirin 950 processor with hers. Indeed, the results of benchmark tests on both the application displays a different list. In GeekBench with multi-core testing, put the iPhone 6s Plus in eighth position, which means the smartphone is far below the Galaxy Note 5, S6 Edge, Xiaomi Note 3 and others. However, this test is not absolutely indicates that the smartphone is good because it has a high score. But to conclude from these two benchmark results, Huawei Mate 8 occupies the highest position with the best performance for your Android smartphone in 2015 .. 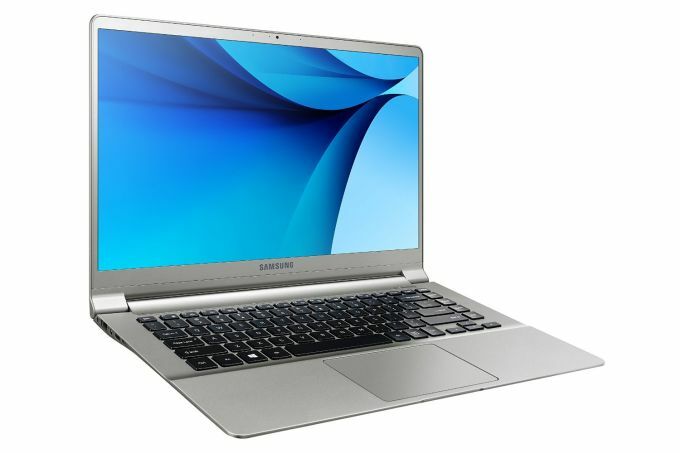 In January, Samsung introduced a new line of notebook or laptop in the event of CES 2016 Samsung introduced the Notebook 9, which claimed to have a light weight but with a strong body. But finally, Samsung has recently spoke about the price of the Notebook 9. Quoted from Liliputing, Sunday (03/06/2016), the existence Notebook 9 have been found at several sites online purchase in the United States such as, B & H, Amazon and Samsung's own website. This laptop has four different variants, which can be seen from the specifications. For the most inexpensive series, will carry a 13.3-inch wide screen with a resolution of Full HD 1080p. Jeroannya there proseor of Intel Core i5 Skylake are ready to run many applications weight or office. Then in the second version, still carrying the same screen area with the cheapest version, 13.3 inches, but it already uses Quad HD display resolution. 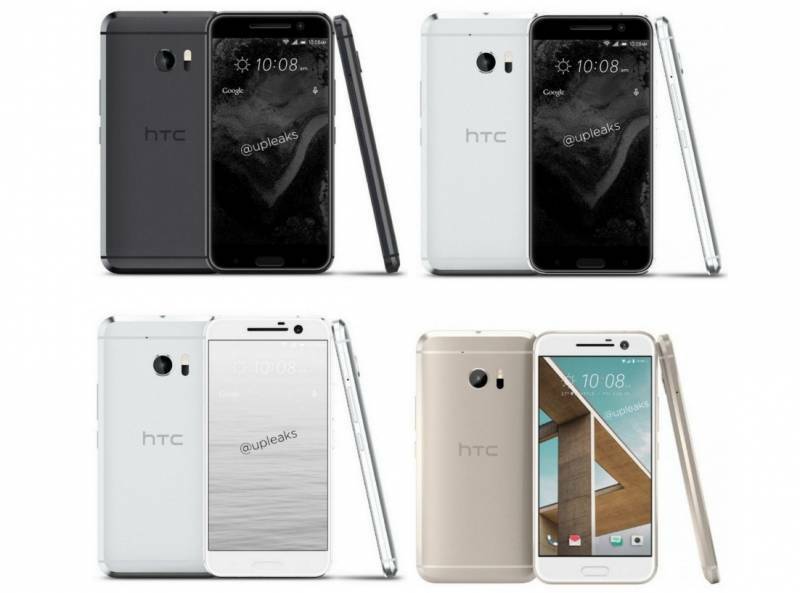 Interestingly, the second version has a screen that can be bent up to 180 degrees alias convertible. Not to forget there is a faster processor, the Intel Core i7 Skylake. While in the third and fourth versions is carrying kind wider screen, 15.6 inches, but with a different resolution, Full HD 1080p and 4K Ultra HD alias. Both the third and fourth version of the laptop is using the same processor, the Intel Core i7 Skylake, but on the fourth version aka Pro version has been equipped with graphics processors from Nvidia GeForce GTX 950 AD. Speaking of RAM, all variants Notebook 9 has been using 8GB of RAM and comes with 256GB of storage that uses SSD media. Interestingly, for a 13.3-inch variants, weighs less than one kilogram, and also for the highest version has a thickness of 0.7 inch or 1.7 cm. The house is a primary need for humans, because the house a refuge from all threats. If the house is located in a row in the housing complex was used, and how the home that can be placed anywhere? 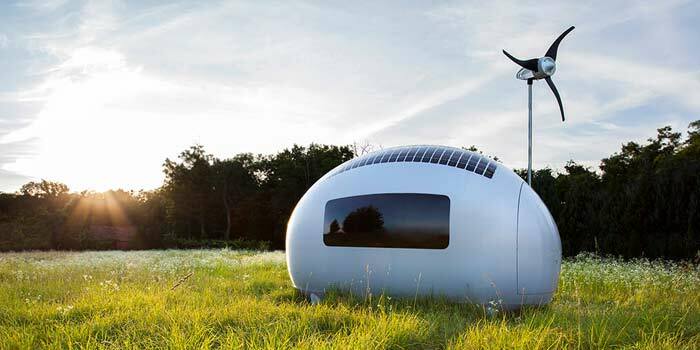 Yes, Nice Architects Slovakia-based company has developed a prototype of an egg-shaped playhouse named Ecocapsule. This portable home began to be announced to the public since the mid-2015 and will begin shipping this year. The tiny house has a diameter of only 2.55 x 4.45 x 2.25 m and a total area of ​​10 square meters that has filled a number of furniture. This tiny house weighs only weighs 1,500 kg. With an oval shape like an egg, this house looks like a cute playhouse. As for access to the entry, there is only one door to be opened up. Although small, but the contents of the house is quite complete, consists of a work space, beds, kitchen, bathroom and toilet. A storage or warehouse space to be accessed from outside the house and there are some windows that let sunlight into the house. A compost toilet and water storage containers will also be present in the house. The house is claimed by the company as an environmentally friendly home, it is due to the energy source, this house uses solar light generated from the solar panels of 600 W which is her house roof. In addition, there are pole wind turbine capacity of 750 W and a large capacity battery, which is 9744 Wh. The company will begin to sell and deliver this tiny house in 2016 for buyers who have pre-order in advance and will be limited to only 50 units of the first generation. The company also said that for the second generation, they will lower the price of these unique homes. A latest info suggests that ASUS will launch a new laptop this month. Laptops are labeled with ASUS U24E according to the plan will come the first time in Japan's cherry country. This laptop reportedly has a 11.6-inch screen that has a 720p resolution with i5 core processor 2.4 GHz. In addition there is the capacity of the hard drive a lot, which is 750GB. In addition, this laptop also promising battery durability is very good. Batteries said his to be able to survive up to 7 hours. Other features, there are also 4GB of RAM, two USB 3.0 ports, Bluetooth 3.0, Wi-Fi and 0.3 MP camera. There is still no official information about the launch of the ASUS laptops. 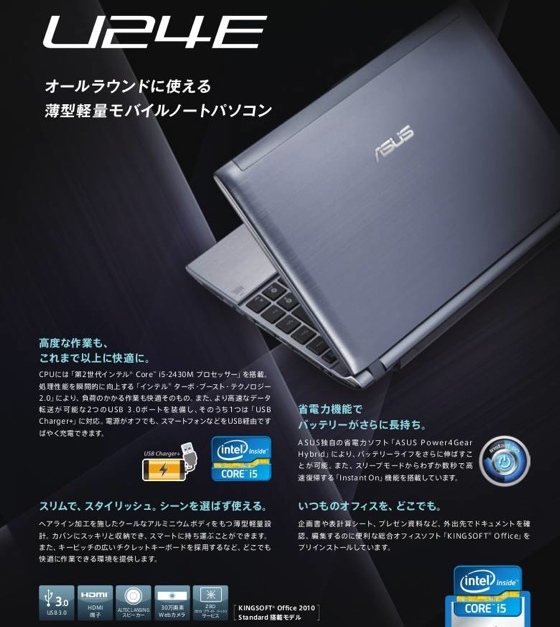 But it does say this laptop will be found in the Japanese market on November 6 and sold at a price of 59,800 yen.